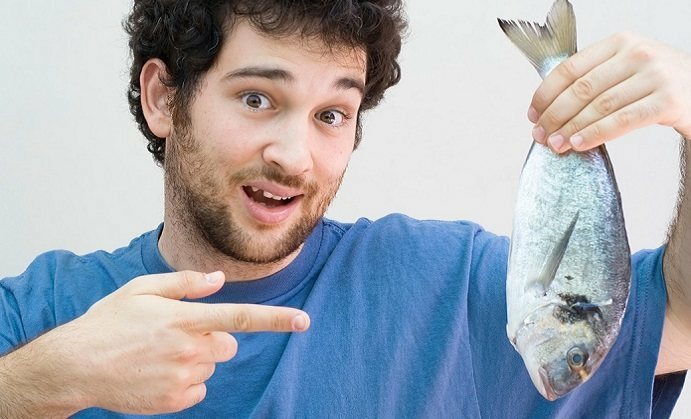 What is Dr. Tobias Optimum Omega-3 Fish Oil? Dr. Tobias Optimum Omega-3 Fish Oil is a supplement designed to provide individuals with a good source of Omega-3 fatty acid. Omega-3 fatty acids are known for several health benefits, the biggest being its ability to help lower risk of heart disease. Other known benefits include strengthening of the joints, a natural antidepressant, improves cardiovascular health and helps lower risk of Alzheimer’s and dementia. As stated above, this supplement contains fish oil (1690mg) which is the best source for Omega-3 fatty acid. Each capsule contains two types of Omega-3 fatty acids which are EPA (920mg) and DHA (600mg). These two are mostly found in specific types of fish and are definitely the two that offer the highest amount of benefits to the body. This supplement contains all natural ingredients only and it does not include any fillers. The recommended daily dosage for this supplement is 2 capsules per day. You can take one capsule during lunch and another in the afternoon or you can take 2 at once. Remember to take this supplement along with a glass of water to help facilitate faster absorption by the body. 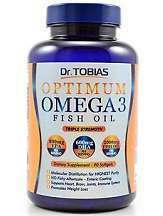 Dr. Tobias Optimum Omega 3 Fish Oil supplement is only available through online shops such as Amazon. One bottle of this supplement contains 180 capsules which is enough for a 2 month supply. Each bottle comes with a price tag of $49.99 which is quite affordable considering the quantity a bottle contains. This product does not come with any special discounts and is not offered in bulk packages. While Omega-3 fatty acids are good for the body, the old saying that too much of a good thing can be bad for you is true in this instance as well. Taking more than 3 grams of Omega-3 fatty acid per day can cause some negative side effects such as an increase in bleeding. Other known side effects are mild though like loose stools, nausea, and an upset stomach. Just remember to follow the instructions on the label or as instructed by a health professional. The official website states that each product can be returned as long as it is within the 30 day grace period. The product should also be in pristine condition unless it arrived damaged. To learn more about what their refund policy covers, you can contact them through their customer support service. The Dr. Tobias Optimum Omega-3 Fish Oil supplement has developed a solid reputation online. It is a good source of Omega-3 fatty acid if you lack the means to include seafood into your daily diet. However, the lack of a customer guarantee and monthly supply option can leave potential customers in doubt. There is also the complaint that taking the supplement can leave a fishy smell and taste in your mouth. Your body odor might also change after taking this supplement for a while.